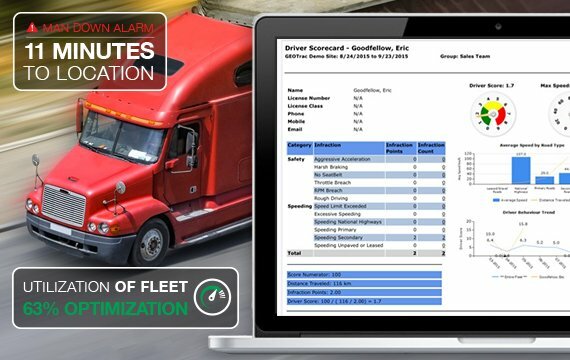 Natural resource and energy businesses have very specific needs for remote fleet management. TELUS created and refined the GEOTrac fleet management system with these requirements in mind, including service delivery to remote areas, asset management, safety and profitability. Today, GEOTrac is the leading provider of wireless fleet management and lone worker safety solutions to Canada’s oil and gas, mining, utilities, forestry and construction industry sectors. GEOTrac by TELUS provides the most relevant and detailed oil and gas road maps on the market today. With specific energy and resource industry details such as pipelines, these maps provide critical in-vehicle location and routing data. It pinpoints the location of each vehicle using advanced GPS fleet tracking technology and provides high-speed Internet access right to the vehicle. GEOTrac by Telus Industry-leading GPS tracking fleet management for Canada’s natural resource and energy sectors.